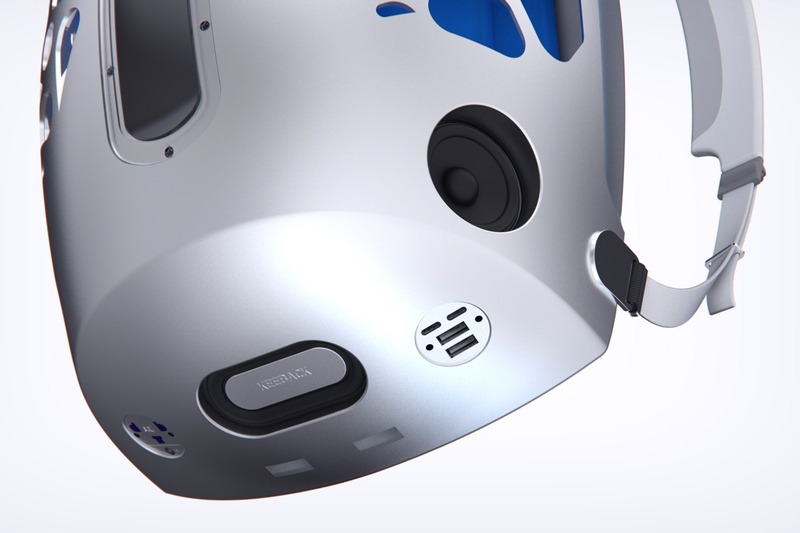 Designer Steel Drake creates really stunning concepts. 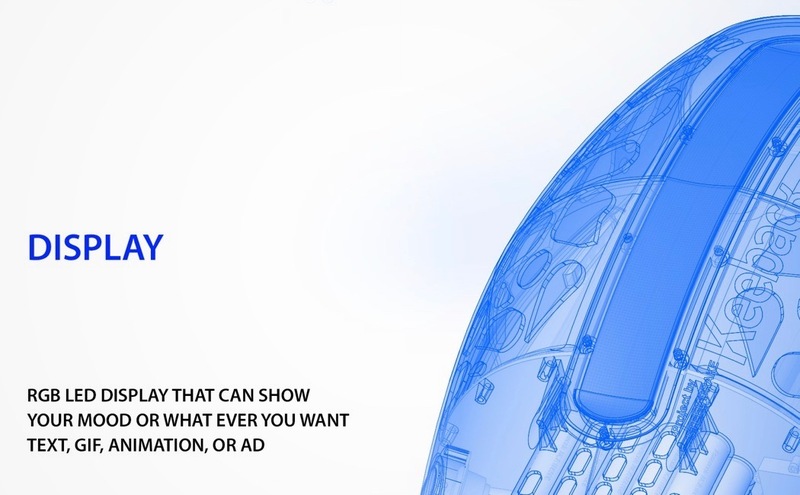 Whether it’s the edgy cars he designs, or the modern gadgets he conceptualizes, there’s always a strong undertone of futurism we’ve grown to really love and look forward to. 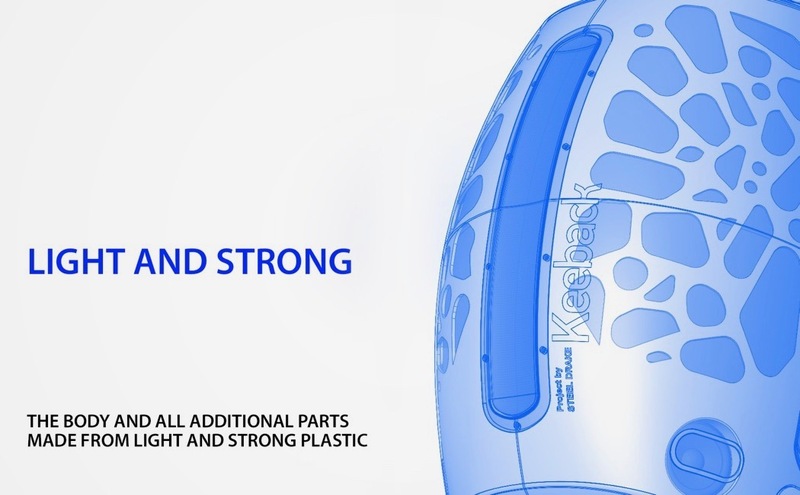 Bringing his brand of innovation to the industry of fashion, Drake wants to shake things up with the Keeback. 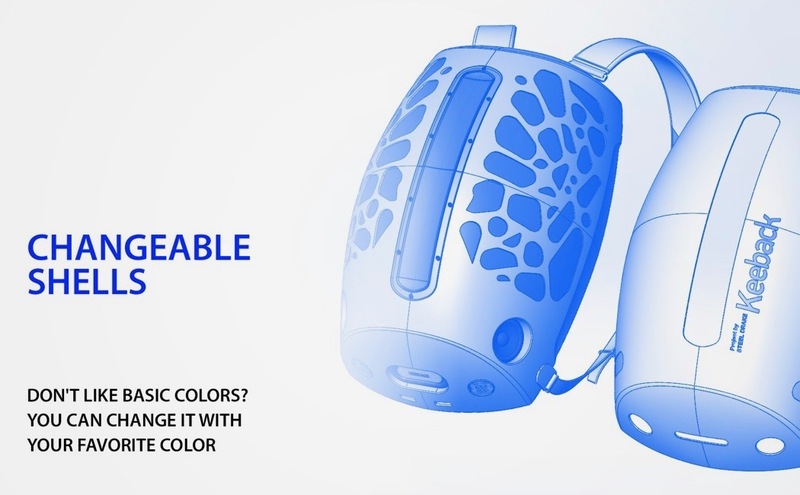 A backpack that is literally like nothing anyone’s seen before. 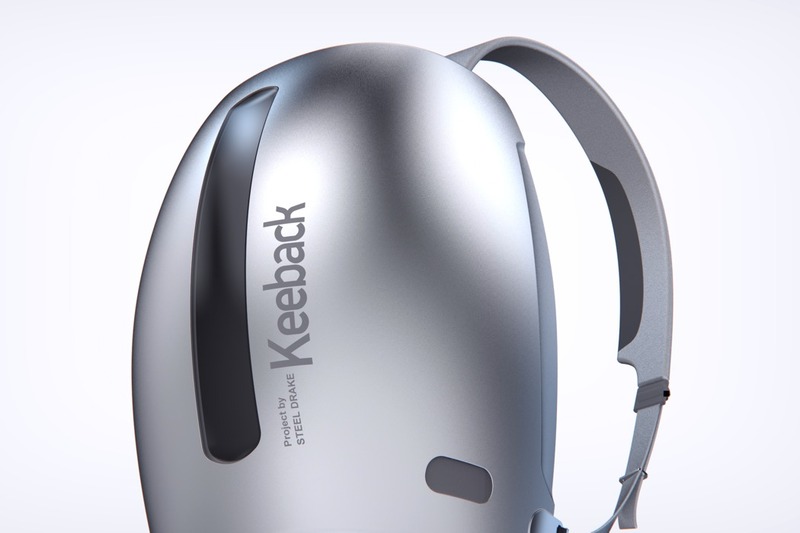 Designed completely from scratch, Steel Drake’s Keeback feels like a backpack designed by someone who doesn’t know what traditional backpacks look like. 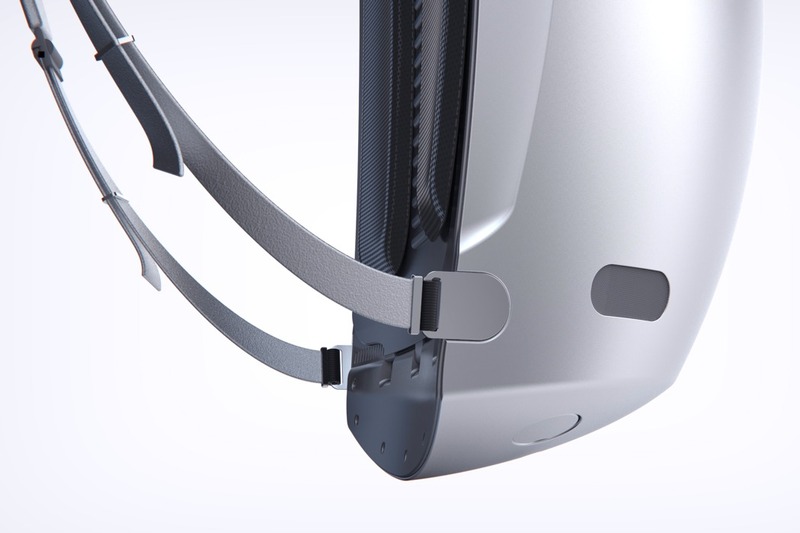 Retaining every aspect of functionality you’d expect from a carry-case you wear on your back, the Keeback literally looks like something from a futuristic movie, because it comes in a hard-shell design, sports USB ports galore, and has a vertical screen that can be customized to display text, graphics, or a gradient that is sure to grab eyes. 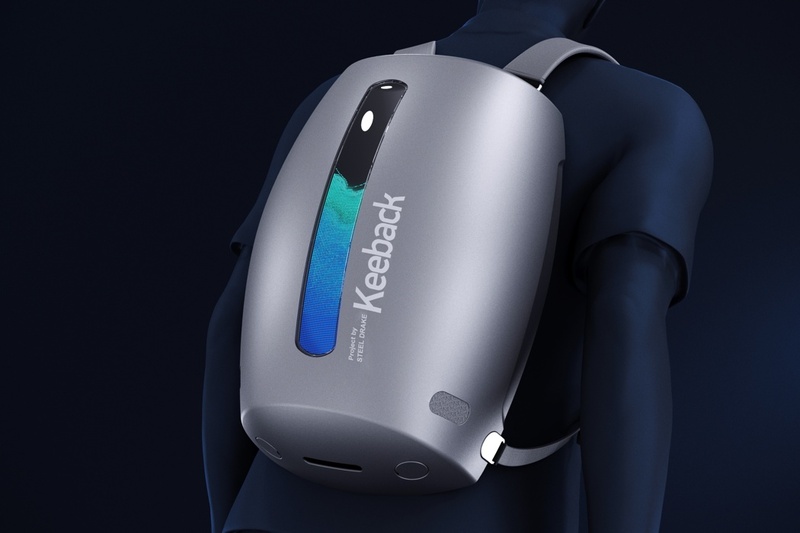 Looking like a backpack quite fit for a species that’s ready to colonize another planet, the Keeback is a complete deviation from traditional, and feels like concept art come to life. 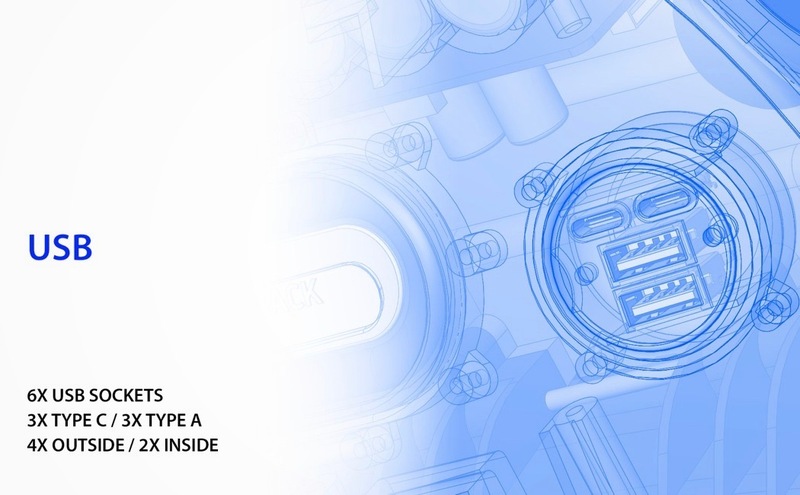 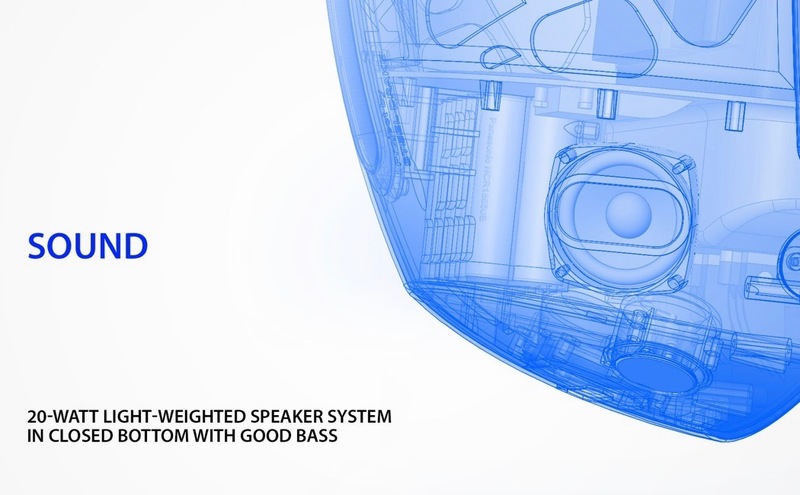 The outer hard-shell design gives it a defined form factor and can be swapped for different styles, ranging from solid colors, to metallic hues, to even an organic grill design that quite literally has my heart. 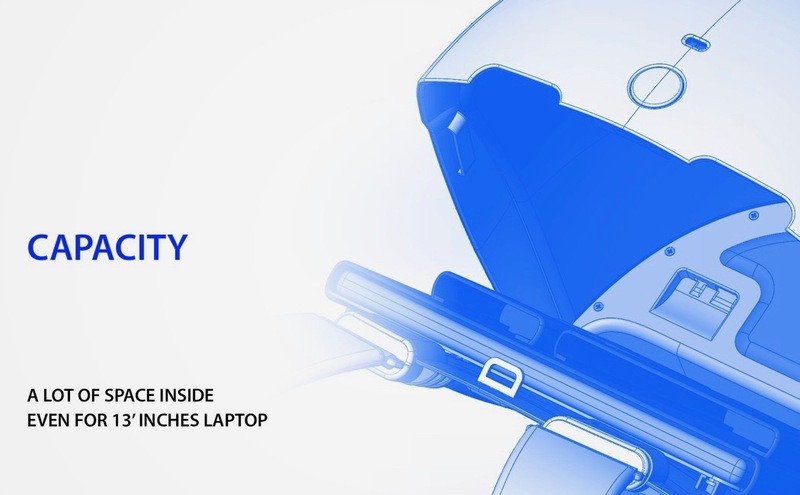 One of the only backpacks to sport a clamshell design, the Keeback opens from the base to reveal storage inside, with dedicated slots for a 13-inch laptop, a tablet, phone, wallet, passport, as well as enough empty space for the rest of your peripherals. 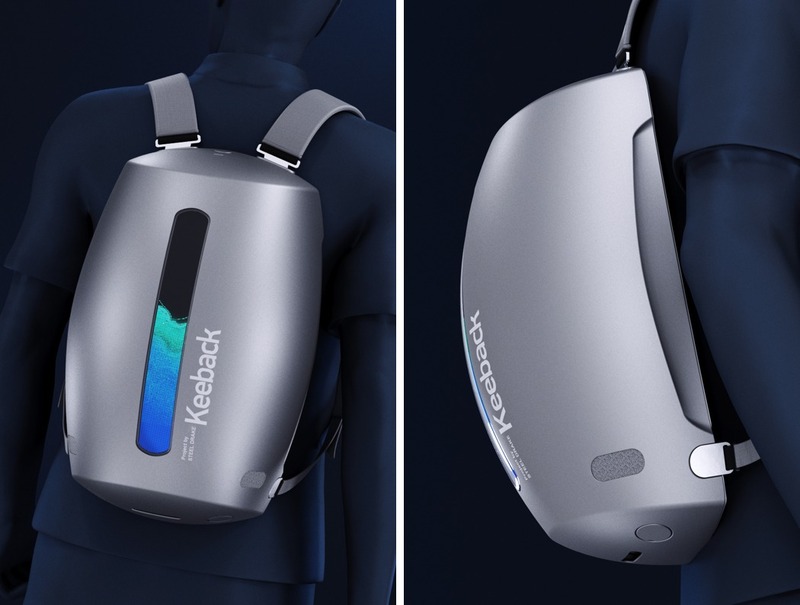 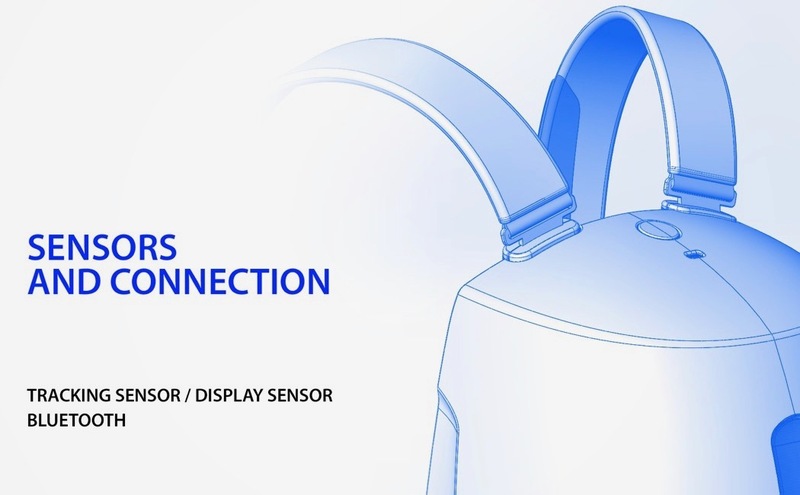 The backpack even comes with its own whopping 40,000 mAh battery courtesy Panasonic that can not only charge your devices via USB (the Keeback comes with an unprecedented 6 USB ports), but also powers the Keeback’s RGB LED display, as well as a revolutionary 20W speaker fitted into the Keeback’s base, giving your backpack the ability to bust out tunes on your daily commute. 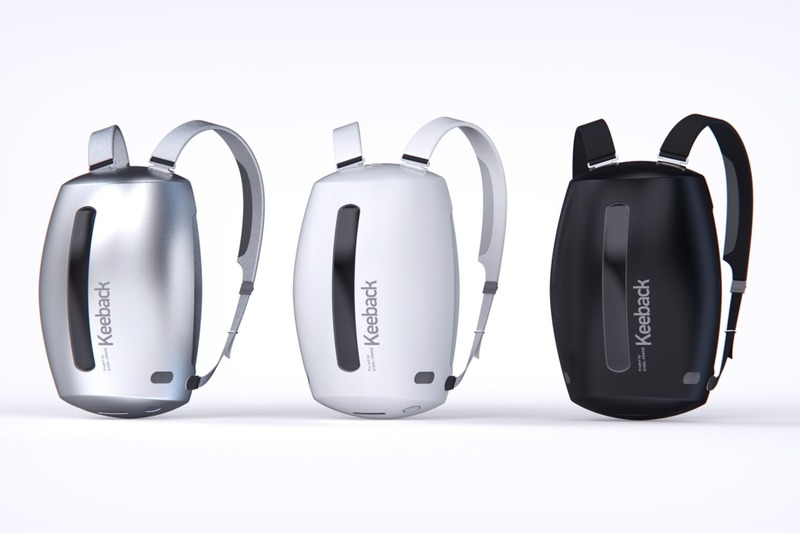 The Keeback, undeniably modern, also packs a tracking sensor that acts as an anti-theft mechanism for the backpack. 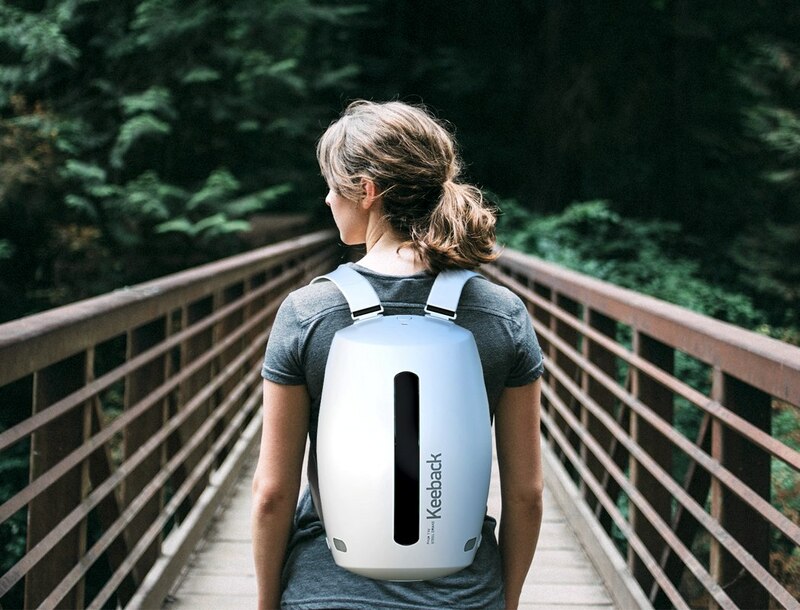 Weighing in at just a mere 3.7 pounds (1.7 kilos), the Keeback has quite a feature list, something that most backpacks can’t even compare to. 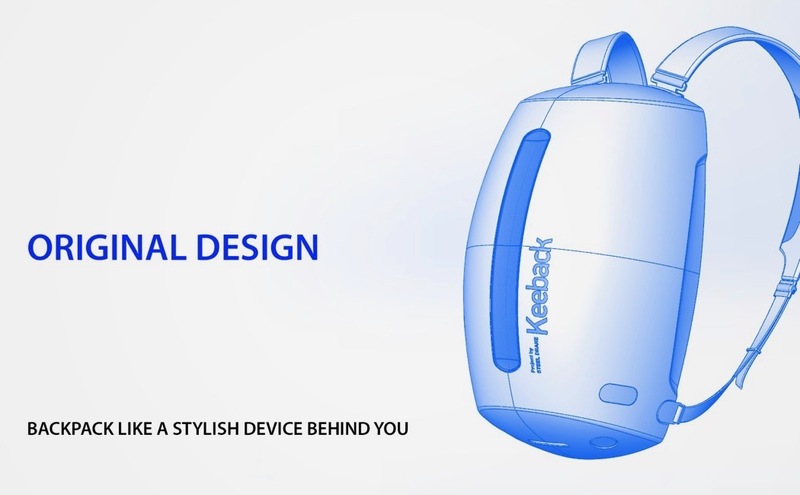 Designed to literally be a class apart, the Keeback feels, looks, and behaves differently from any traditional backpack. 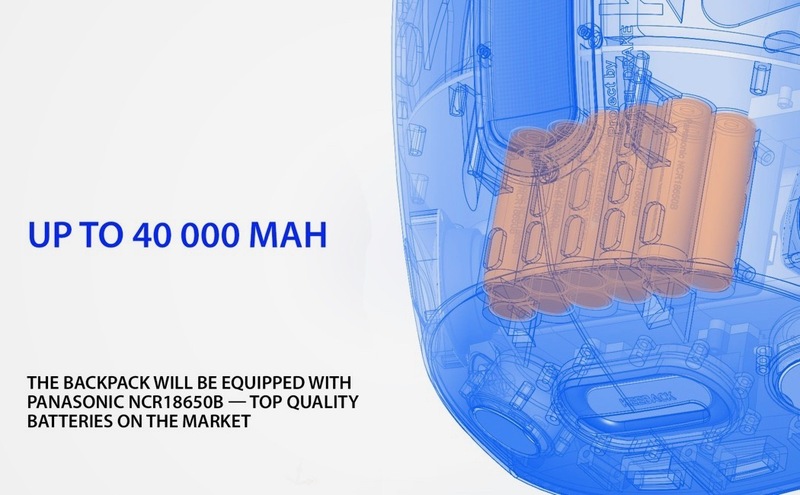 You won’t find another backpack that has a stunning hardshell design, a screen, a 40,000 mAh built-in battery, 6 USB ports, and a literal speaker-system with a 20W output. 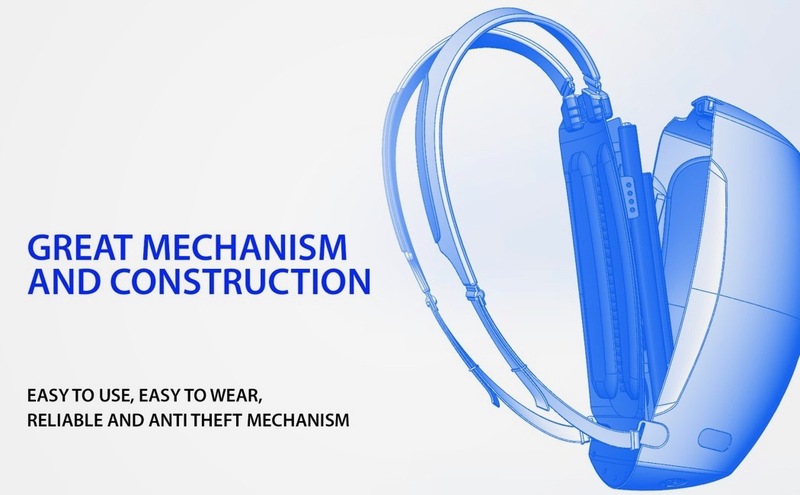 Also we recommend yo to check other modern innovative backpack and boombox backpack.